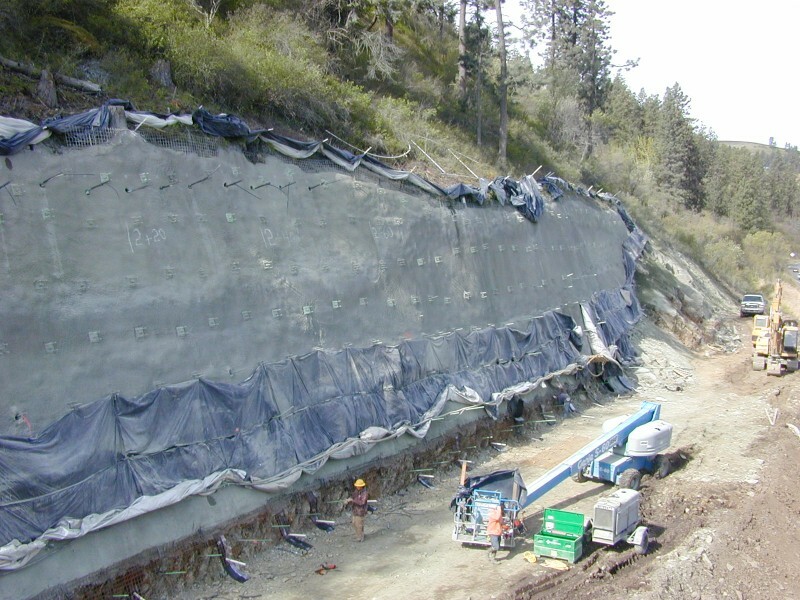 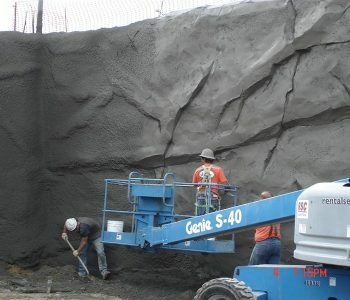 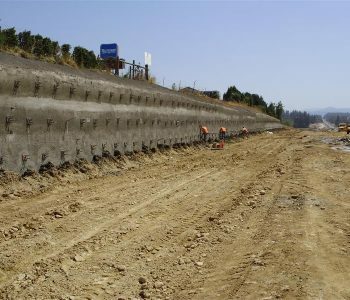 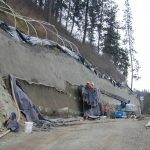 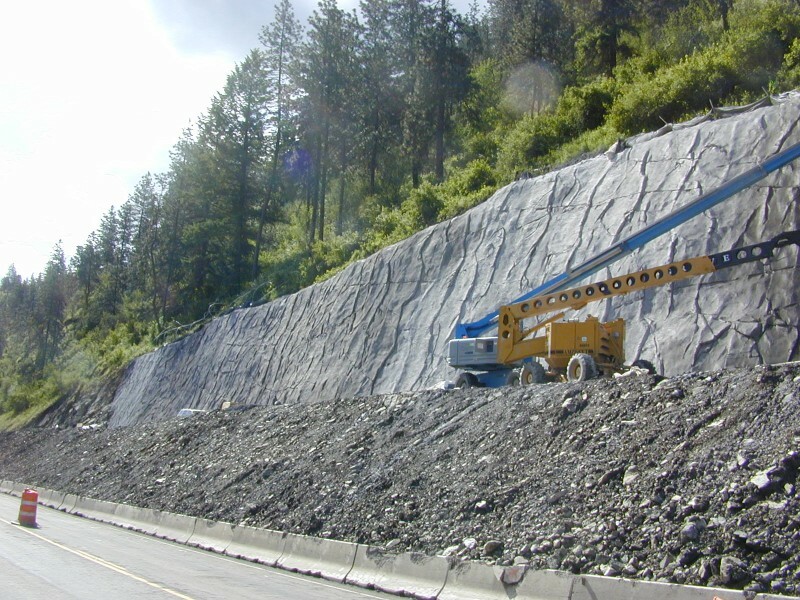 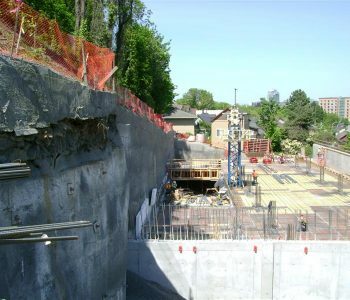 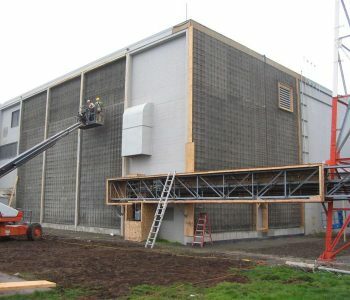 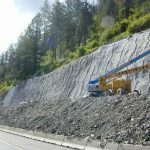 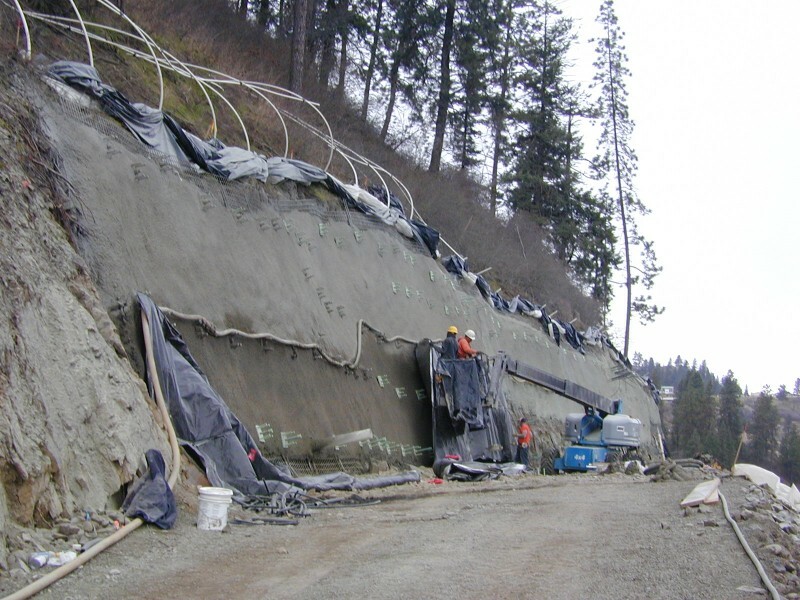 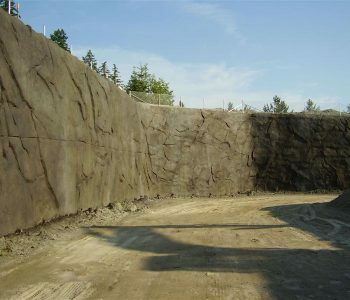 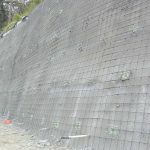 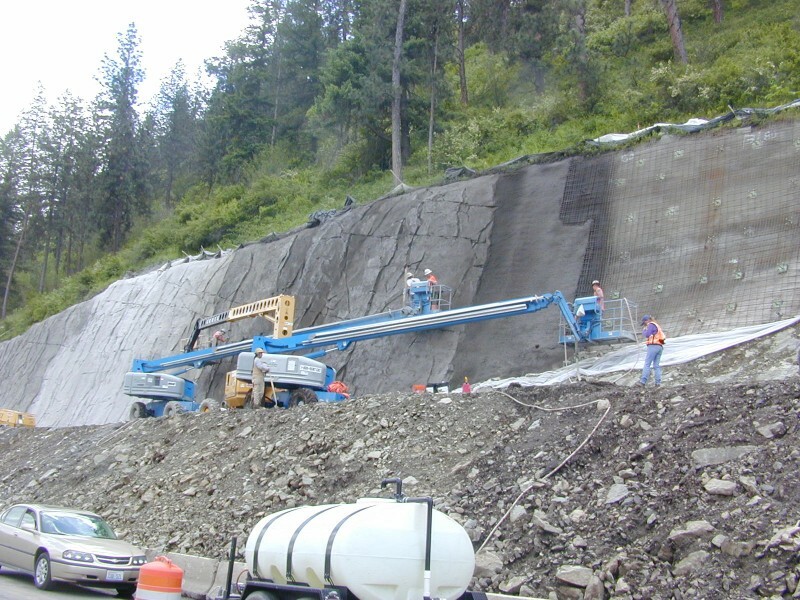 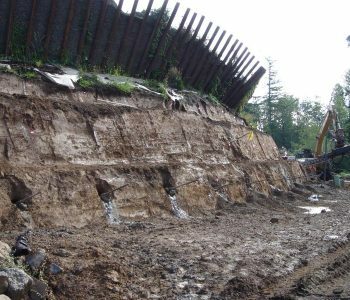 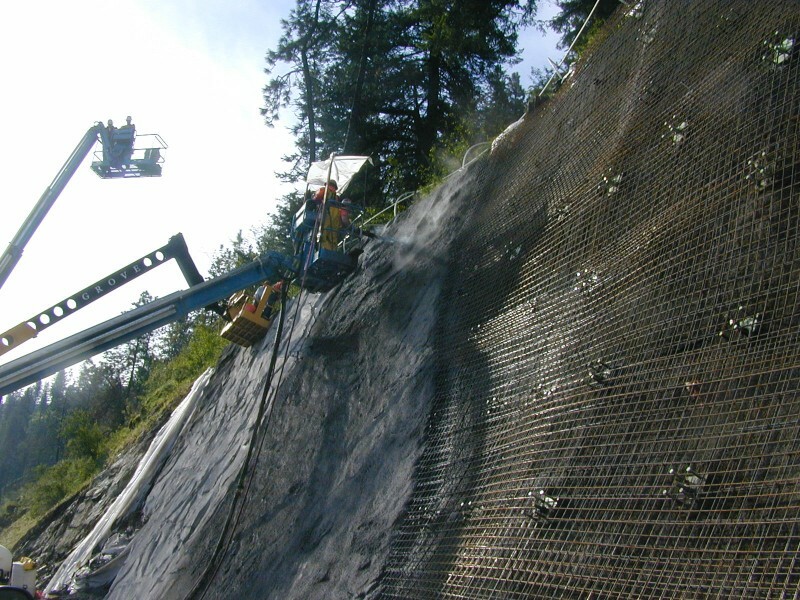 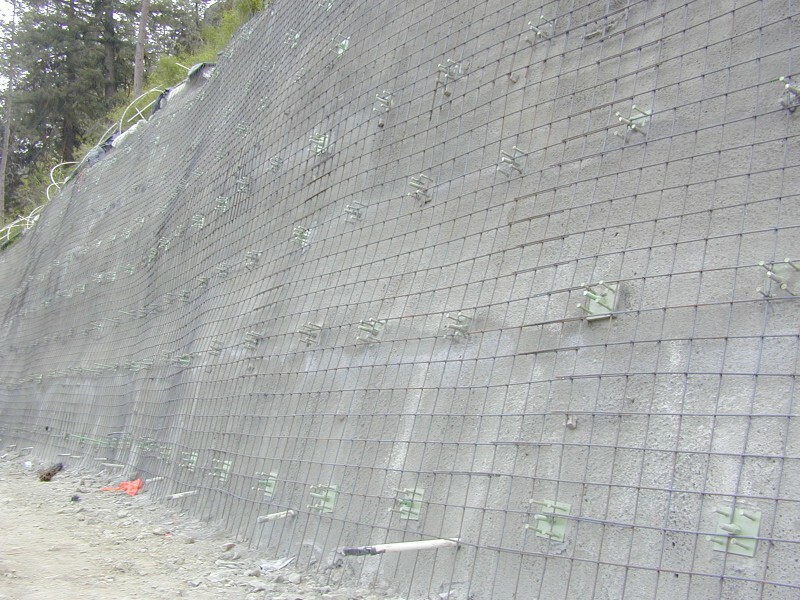 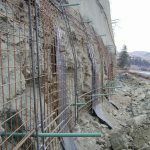 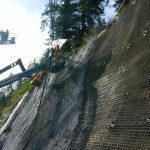 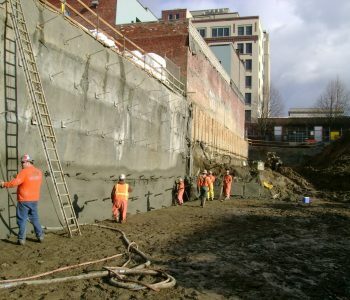 Schedule critical, 14,500 square feet of soil nail wall constructed in extreme weather conditions. 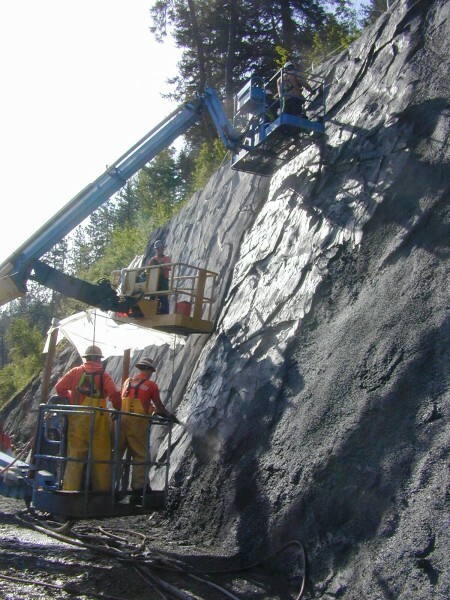 Included 400+ soil nails installed 25 feet above bench elevation in decomposed rock over solid rock. 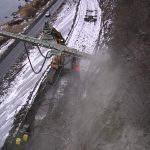 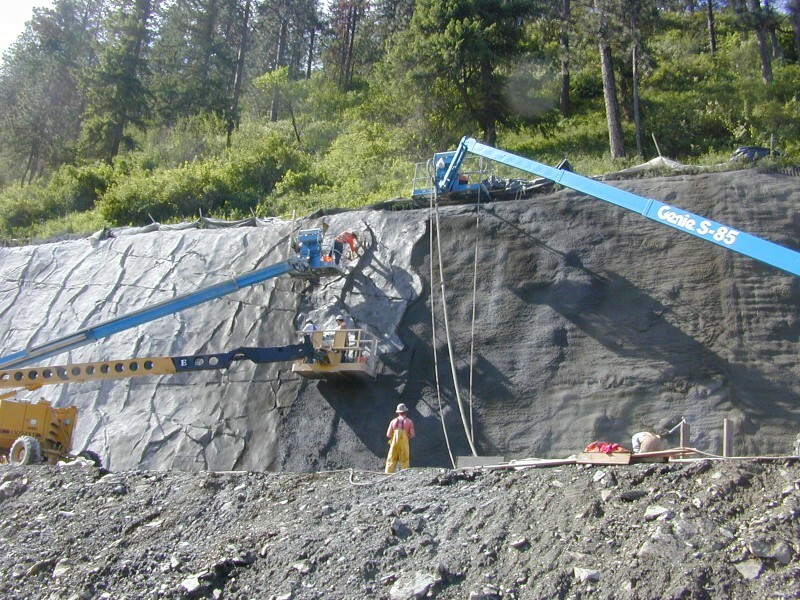 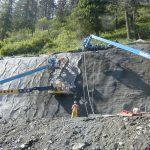 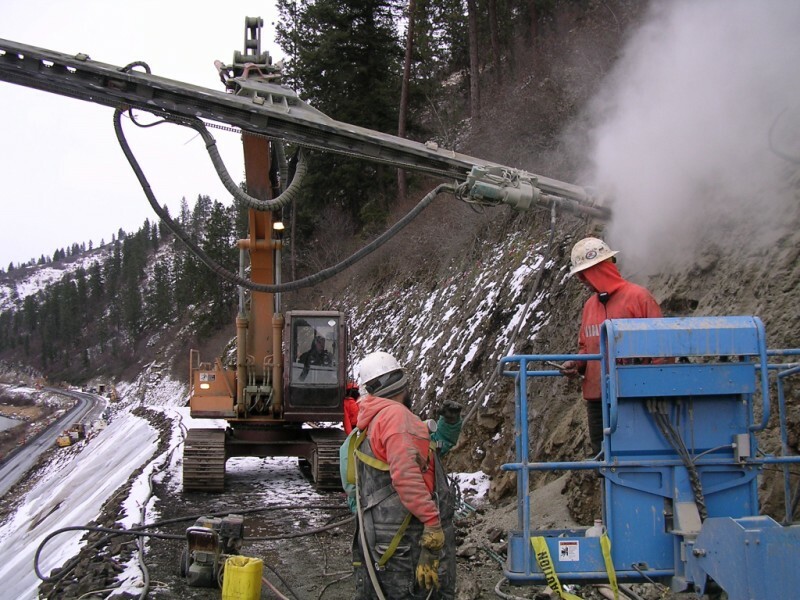 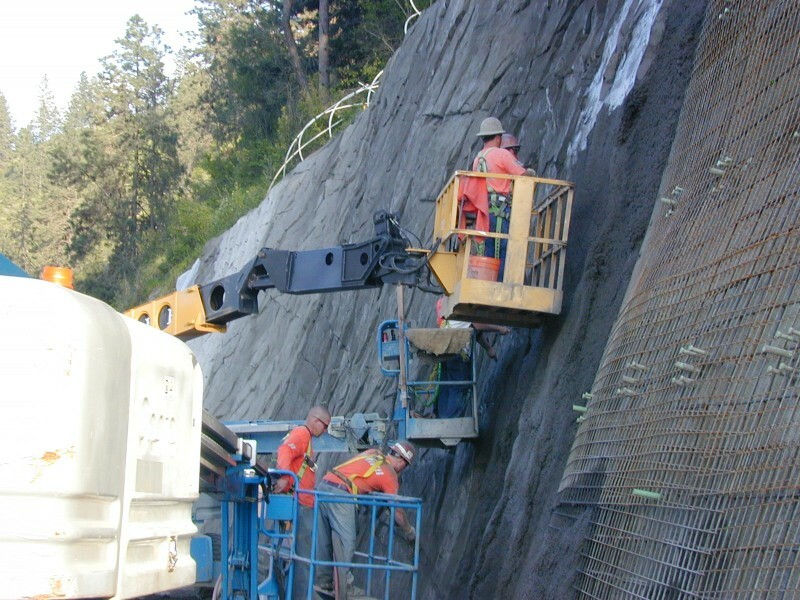 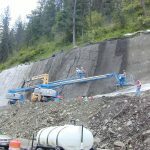 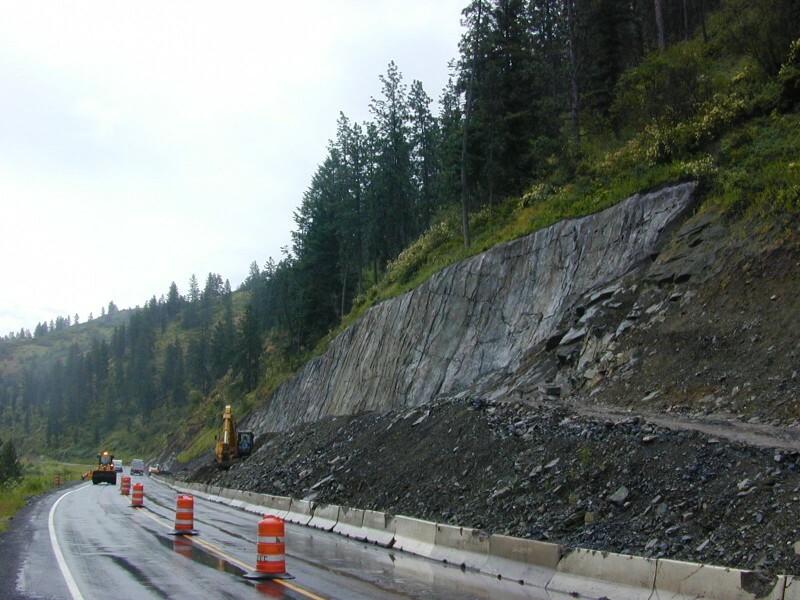 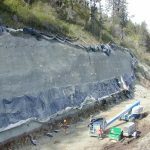 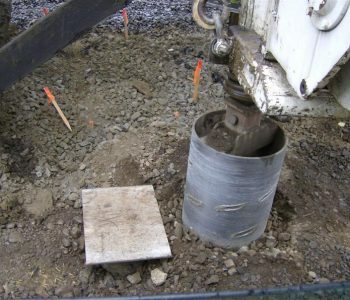 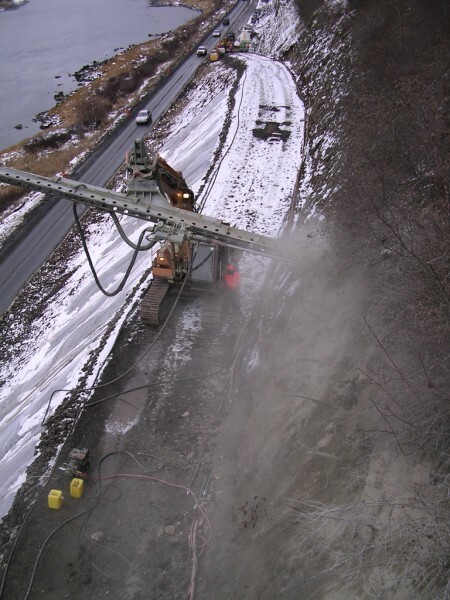 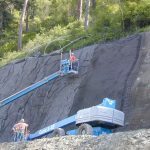 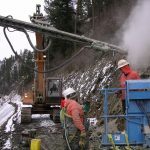 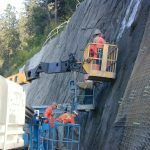 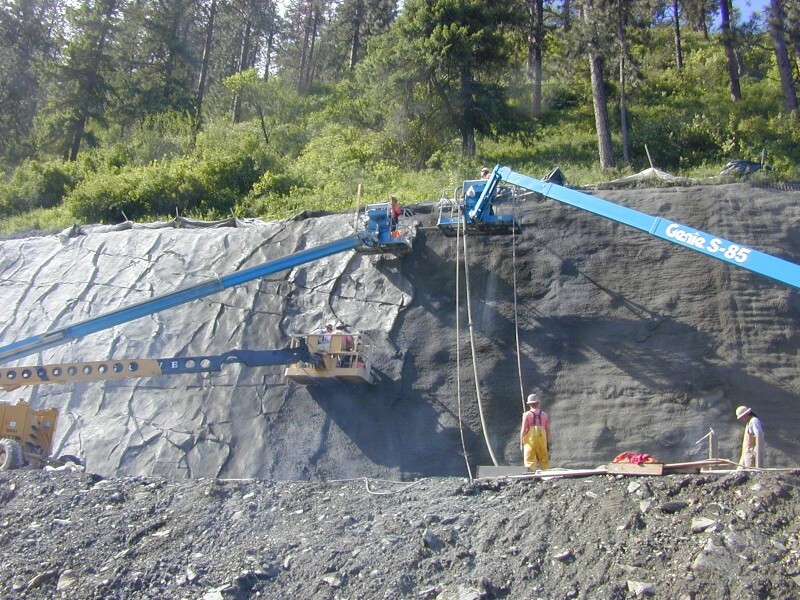 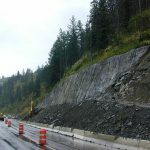 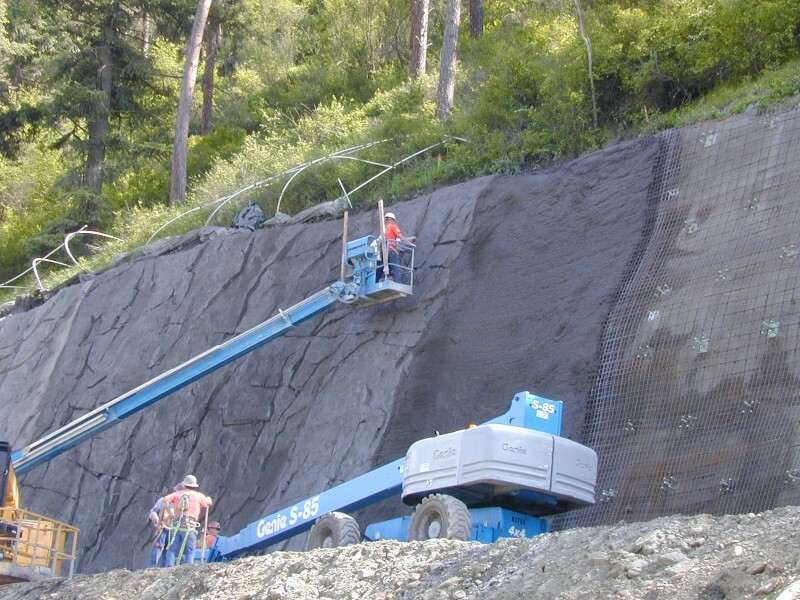 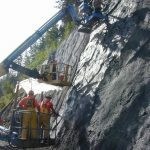 It required several drilling systems and a drill rig fabricated specifically for this project. 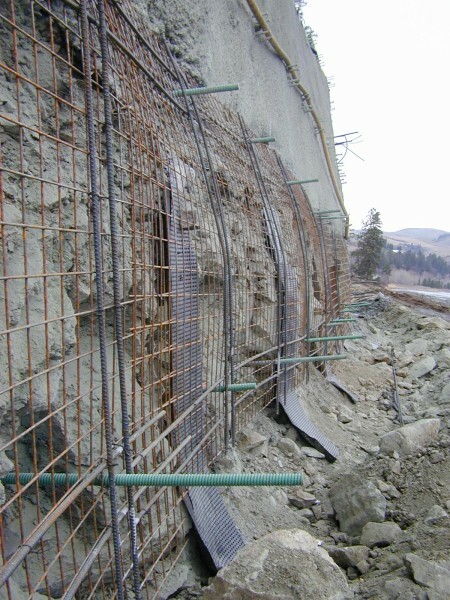 It’s finished with a carved shotcrete fascia. 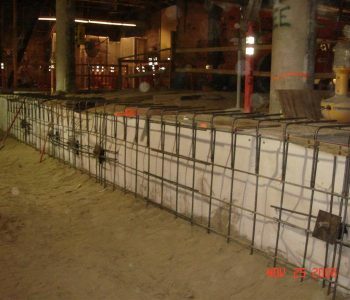 Click here to read more about this project; this PDF can also be found on our News page.